Ultrasonic Motor (USM) for fast and near silent auto focus. Super Spectra coatings and optimised lens element shaping to suppress flare and ghosting. Environmental seals providing dust and moisture resistance. 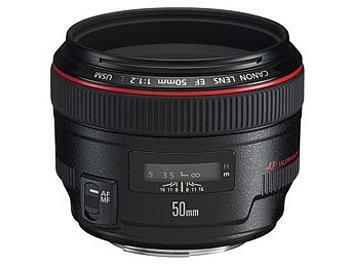 Circular aperture diaphragm for beautifully even background bokeh and 'removal' of distracting backgrounds. Distance information passed back to the new E-TTL II flash algorithm of all current model digital EOS cameras. Lens hood and pouch included in the box.